Thomas Anthony Dooley was born in St. Louis January 17, 1927, the first of three sons born to Thomas and Agnes Dooley. As a child pianist, he often soloed with the city orchestra. His family urged him to consider a career as a concert pianist and enrolled him in the Julliard School of Music during his teens, but by this time he intended to pursue a medical career. From 1940-1944, Dooley attended St. Louis University High School where he developed into a swimming and track star. After high school, Dooley began his undergraduate studies at Notre Dame. He interrupted his undergraduate studies by enlisting in the United States Navy as a Medical Corpsmen in 1944. Dooley received an honorable discharge from the Navy and resumed studies at Notre Dame. Dooley received his Doctor of Medicine degree from St. Louis University in 1953 and accepted a medical internship as a lieutenant in the Navy. He volunteered aboard the U.S.S. Montague, a cargo ship used to transport refugees from North to South Vietnam. In August 1954, Dooley transferred to Task Force Ninety, a unit participating in the evacuation of over 600,000 North Vietnamese known as the "Passage to Freedom." Here Dooley served as a French interpreter and medical officer for a Preventative Medicine Unit in Haiphong. Dooley eventually oversaw the building and maintenance of refugee camps in Haiphong until May 1955, when the Viet Minh took over the city. Dooley returned to the United States later in 1955 and published his first book, a Vietnam memoir, entitled Deliver Us From Evil (1956). The book climbed the best-seller lists and appeared in a condensed form in Reader's Digest, which also reprinted it in eleven languages. The United States Chamber of Commerce listed Dooley among the ten "Outstanding Men of America." He became the youngest United States Navy Medical Corps officer in history to receive the Navy's Legion of Merit. Dooley also received the highest national decoration of the South Vietnamese government. In 1956, Dooley resigned from the Navy and persuaded the International Rescue Committee to sponsor bush hospitals in Southeast Asia. Donating the royalties from Deliver Us From Evil, Dooley and three former Navy corpsmen, established a hospital at Nam Tha, a village five miles south of the China border in Laos. Dooley said they chose Laos because the country, with 3,000,000 people, had only one "bonafide" doctor. St. Patrick's hospital in Nam Tha consisted of a surgical ward with 15 beds, a medical ward with mats for 30 people, an operating room, and an out-patient clinic. Dooley's team constructed the buildings in the style of the indigenous architecture, using bamboo and thatch. The hospital had no electricity, x-ray equipment, plumbing, or air-conditioning. Dooley treated about 100 patients a day for such diseases as tuberculosis, malnutrition, diphtheria, dysentery, pneumonia, small-pox, and burns. In October 1957, Dooley and his staff turned St. Patrick's over to the government of Laos, to be run by Dooley-trained Laotians. During his stay in Nam Tha, Dooley wrote a second book, The Edge of Tomorrow That year, Dooley started the Medical International Cooperation Organization, or MEDICO. A non-sectarian group, it wanted to build, stock, supply, and train staff for small hospitals along the Iron and Bamboo curtains. MEDICO planned to turn over the hospitals to the host country's government. The organization received hundreds of thousands of dollars in medicine and supplies from pharmaceutical houses throughout the United States. Early in 1958, Dooley established his second hospital in Laos at Muong Sing near the China border. 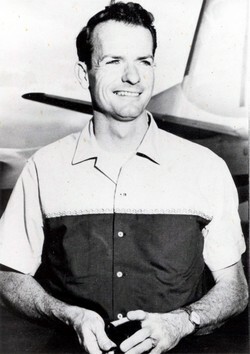 In August 1959, Dooley underwent chest surgery for melanoma, a rapidly spreading form of cancer. Dooley announced afterward, "I am not going to quit. I will continue to guide and lead my hospitals until my back, my brain, my blood and my bones collapse." Dooley returned to the lecture circuit in October, raising one million dollars for MEDICO. In 1960, Dooley published his third book, The Night They Burned the Mountain (1960). In June 1960, Dooley received an honorary Doctor of Science degree from Notre Dame University. Seven months later, Dooley flew back to New York Memorial Hospital. The cancer had spread to his lungs, liver, spleen, heart, and brain. Dr. Tom Dooley died January 18, 1961, one day after his thirty-fourth birthday.